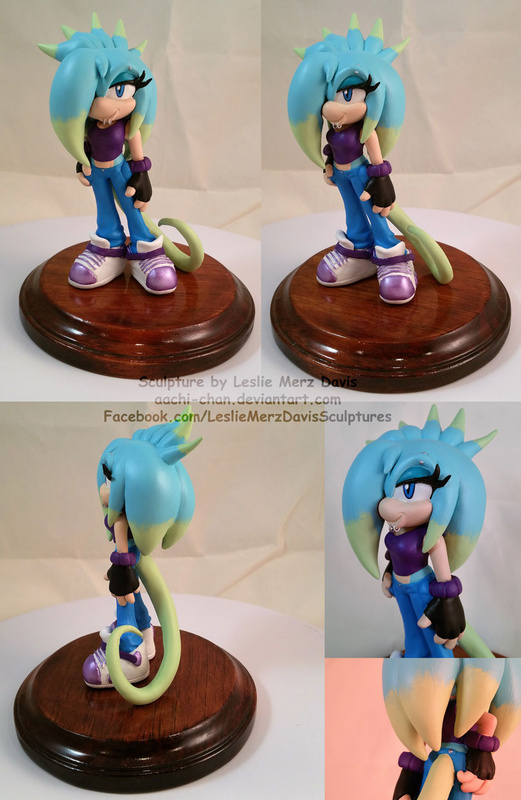 Gigi the lizard sculpture commission for deviantart user mobian-reptile. I'm curious, when you baked the sculpture, does it come easily afterward before you apply the matte onto the base? When I tried to remove my sculpture from the base, I always hate to press the figure a little harder in order to pull it out. Since the clay was still soft and it possibly stuck to the base a little, so any tips on that? Thanks, i need to keep those notes that you sent me in file. Also, I sent a note to your dA and hope you could reply it.